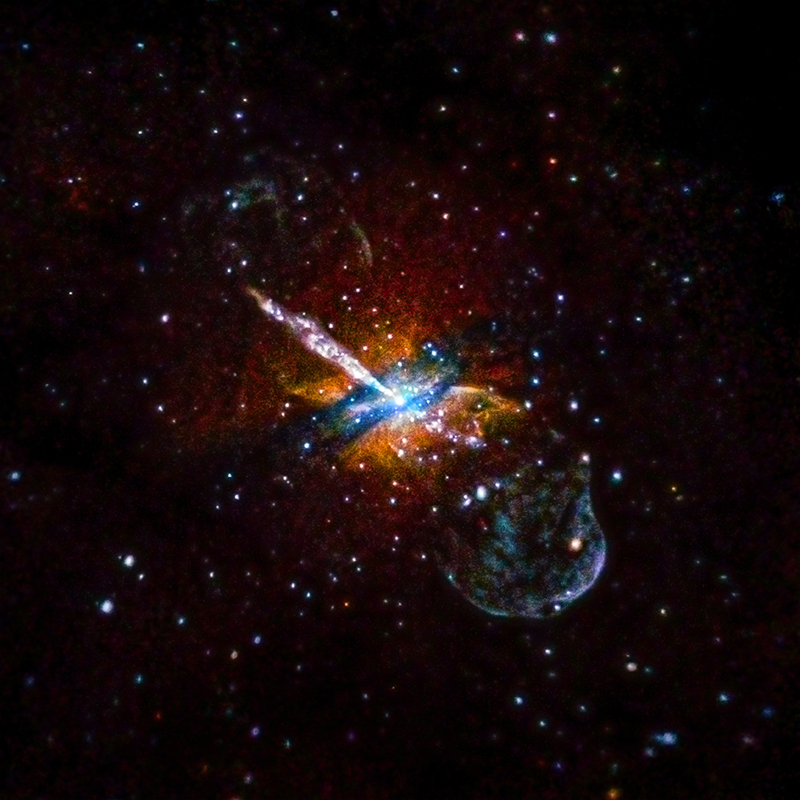 This image from the Chandra X-ray Observatory, shows a jet emanating from the central, supermassive black hole of Centaurus A. The colors in this image represent the energy of the detected X rays, with red for low, green for middle, and blue representing high-energy X rays. Astrophysical objects like this one, are good candidates for observations of polarization that will give us information about the object's magnetic field and its configuration. For more information on this image, you may visit the Chandra X-ray Observatory's website.